Eigenvalue spectra of the Laplace-Beltrami operator have successfully been employed as fingerprints for shape and image comparison. Especially notable in this context is the work of Peinecke on Laplace spectrum finger- printing for image data. Recently, new research on greyscale images by Berger et al. introduces the idea of attributing individual eigenfunctions to image parts and describes a mechanism for controlling their localisation. These parts are separated by sufficiently strong variations of grey value, giving the originally global fingerprint a semi-local character. This paper provides an approach to extend this idea to colour images so that not only gradients of brightness but also gradi- ents of hue or chroma lead to localisation of eigenfunctions. This is accomplished by generalising the eigenfunctions to R^2-valued functions and mapping the colours to symmetric 2×2-matrices. The resulting matrix field is then used to mod- ify the Laplacian. Finally, we present a distance function for comparing eigenvalue-based fingerprints that makes use of eigenfunction colocalization information. This lecture was given by Prof. F.-E. Wolter at Massachusetts Institute of Technology (MIT) on April 8, 2016. This talk will start with a brief overview on current research projects pursued at the speaker´s lab, the Welfenlab. Thereafter, the seminar will focus on two ongoing research projects. The first project deals with computations on geodesics in Riemannian manifolds with an emphasis on singular situations caused by singularities of the geodesic exponential map. In this part of the seminar, I will present computations of focal sets, geodesic joins, medial curves and geodesic Voronoi diagrams. The second project employs some insights from the first one; in this part, I will present new differential geometry-based methods for numerical computations, analysis and visualization with respect to special singularities of dynamical systems governed by differential algebraic equations. In this context, we present an apparently new technique showing that an implicitly-defined manifold can be numerically parameterized. This lecture was given by Prof. F.-E. Wolter at University of Michigan on June 1, 2016. We present processing methods and visualization techniques for accurately characterizing and interpreting kinematical data of flexion–extension motion of the knee joint based on helical axes. We make use of the Lie group of rigid body motions and particularly its Lie algebra for a natural representation of motion sequences. This allows to analyze and compute the finite helical axis (FHA) and instantaneous helical axis (IHA) in a unified way without redundant degrees of freedom or singularities. A polynomial fitting based on Legendre polynomials within the Lie algebra is applied to provide a smooth description of a given discrete knee motion sequence which is essential for obtaining stable instantaneous helical axes for further analysis. Moreover, this allows for an efficient overall similarity comparison across several motion sequences in order to differentiate among several cases. Our approach combines a specifically designed patient-specific three-dimensional visualization basing on the processed helical axes information and incorporating computed tomography (CT) scans for an intuitive interpretation of the axes and their geometrical relation with respect to the knee joint anatomy. In addition, in the context of the study of diseases affecting the musculoskeletal articulation, we propose to integrate the above tools into a multiscale framework for exploring related data sets distributed across multiple spatial scales. We demonstrate the utility of our methods, exemplarily processing a collection of motion sequences acquired from experimental data involving several surgery techniques. Our approach enables an accurate analysis, visualization and comparison of knee joint articulation, contributing to the evaluation and diagnosis in medical applications. Educational lecture material "Computer Graphics II (Graphische Datenverarbeitung II)"
Educational material regarding the earlier course "Computer Graphics II (Graphische Datenverarbeitung II)", currently not being taught. Comprehensive descriptions of the motion in articulating joints open new opportunities in biomedical engineering. The helical axis is a established method that describes flexion-extension at joints, which currently lacks an intuitive visualization. In this paper, we present a comprehensive visualization of knee joint motion based on a direct measurement of the helical axis. The proposed approach incorporates the three-dimensional motion of patient-specific bone segments and the representation of helical axes on the bone, facilitating the observation of the flexion-extension motion at the knee joint. Injuries of the bony orbit that, which contains the eye, not only have aesthetic implications but also impair stereoscopic vision. Different techniques are used for surgical treatment. In this work we will present a tool that allows the reliable segmentation of the reconstructed and the unaffected orbit. For this we present a novel anterior closing that follows the clinical understanding of anatomy. To assist in the post-surgical evaluation, we suggest parameters with respect to clinically relevant regions (orbital floor, medial wall) and demonstrate a method to automatically determine them. We evaluate our methods on clinical cases. This document summarizes the current lines of research at Welfenlab, including links to the references. Accepted as a lecture presentation in 29th International Congress and Exhibition of Computer Assisted Radiology and Surgery (CARS). Accepted as a lecture presentation in 29th International Congress and Exhibition of Computer Assisted Radiology and Surgery (CARS 2015). Purpose: Objective determination of the orbital volume is important in the diagnostic process and in evaluating the efficacy of medical and/or surgical treatment of orbital diseases. Tools designed to measure orbital volume with computed tomography (CT) often cannot be used with cone beam CT (CBCT) because of inferior tissue representation, although CBCT has the benefit of greater availability and lower patient radiation exposure. Therefore, a model-based segmentation technique is presented as a new method for measuring orbital volume and compared to alternative techniques. Methods: Both eyes from thirty subjects with no known orbital pathology who had undergone CBCT as a part of routine care were evaluated (n = 60 eyes). Orbital volume was measured with manual, atlas-based, and model-based segmentation methods. Volume measurements, volume determination time, and usability were compared between the three methods. Differences in means were tested for statistical significance using two-tailed Student’s t tests. Results: Neither atlas-based (26.63±3.15mm3) nor model-based (26.87±2.99mm3) measurements were significantly different from manual volume measurements (26.65 ± 4.0mm3). However, the time required to determine orbital volume was significantly longer for manual measurements (10.24 ± 1.21 min) than for atlas-based (6.96 ± 2.62 min, p < 0.001) or model-based (5.73 ± 1.12 min, p < 0.001) measurements. Conclusion: All three orbital volume measurement methods examined can accurately measure orbital volume, although atlas-based and model-based methods seem to be more user-friendly and less time-consuming. The new model-based technique achieves fully automated segmentation results, whereas all atlas-based segmentations at least required manipulations to the anterior closing. Additionally, model-based segmentation can provide reliable orbital volume measurements when CT image quality is poor. The exploration of biomedical data which involves heterogeneous sources coming from different spatial scales and medical domains is a challenging topic in current research. In this work, we combine efforts regarding multi-scale visualiza-tion, multimodal interaction and knowledge formalization for the exploration of multi-scale biomedical data. The knowledge formalization stores and organizes the information sources, the integrated visualization captures all relevant information for the domain expertise of the user and the multimodal interaction provides a natural exploration. We present a concrete example of use of the proposed exploratory system designed for a biologist investigating multi-scale pathologies. Seminar titled "Man-Machine-Communication. Interaction with the computer", given at the Rotary Club Hannover on October, 16, 2015. The study and analysis of relationships in a complex and multi-scale data set is a challenge of information and scientific visualization. This work proposes an integrated visualization to capture all the important aspects of multi-scale data into the same view by leveraging the multi-scale biomedical knowledge encoded into an underly- ing ontology. Ontology supports visualization by providing semantic means to identify relevant items that must be presented to the user. The study and analysis of relationships across the scales are presented as results of queries to the multi-scale biomedical knowledge space. We demonstrate the prototype of the graphical interface of an integrated visualization framework and the knowledge formalization support in an example scenario related to the musculoskeletal diseases. Pathologies which simultaneously involve different spatial scales are often difficult to understand. Biomedical data from different modalities and spatio-temporal scales needs to be combined to obtain an understandable representation for its examination. Despite of requests to improve the exploration of multi-scale biomedical data, no major progress has been made in terms of a common strategy combining the state of art in visualization and interaction. This work presents a multimodal approach for a natural biomedical multi-scale exploration. The synergy of a multi-layered visualization environment based on spatial scales with hand gestures and haptic interfaces opens new perspectives for a natural data manipulation. We shall describe how concepts from differential geometry have been providing powerful tools creating major advances in geometric modeling, geometry processing and image analysis dealing with the topics presented in the title of this address. This talk includes a retrospective compiling contributions of the author's works showing how concepts from local and global differential geometry have introduced new methods into geometric modeling and shape interrogation and classification finally ending with modern state of the art research on geometry processing and image processing. A major part of this seminar starting with works in the late nineties at the author's laboratory is dedicated to discussing how "efficient finger prints" useful for indexing and clustering digital data collections can be derived from spectra of Laplace operators being naturally associated with geometric objects such as surfaces and solids as well as (colored) images including medical 2d- and 3d-images. Recently the latter works obtained particular attention in the area of medical imaging. Geometric aspects of the Laplacian operator lead to generalizations of the Laplacian operating on line bundles allowing to compute eigen-functions whose iso-surfaces yield smooth non-orientable Seifert surfaces spanning knot complements in three-dimensional manifolds. Next we focus on cut loci, the medial axis and its inverse in Euclidean and Riemannian worlds. This work starts with basic medial axis results presented by the the author in the early nineties. Those results state: The Medial Axis Transform can be used to reconstruct, modify and design a given shape ("Shape Reconstruction Theorem"). Under some weak assumptions the medial axis contains the essence of the topological shape of the geometric object as it is a deformation retract of the given shape ("Topological Shape Theorem"). Therefore the medial axis contains the homotopy type of the given shape. We present recent results showing how geodesic Voronoi diagrams, geodesic medial axis and its inverse can be computed in 3d- or higher-dimensional Riemannian spaces. The "medial axis inverse" allows to construct a medial modeler providing efficient features for shape optimization with respect to shape dependent mechanical properties. Editorial of the special edition of The Visual Computer, which contains the best 35 papers of the Computer Graphics International 2013 (CGI 2013) held in Hanover, at the Leibniz University of Hanover in Germany. This paper is concerned with the numerical examination of acoustically driven flows within the inner ear on the basis of a computational model. For this purpose, a comprehensive system of differential equations and boundary conditions is deduced, which takes, to a satisfactory extent, the complexity of the main biophysical mechanisms of the cochlea into account. Beside an appropriate representation of the fluid dynamics, also the biomechanical properties of the basilar membrane as well as the internal amplification mechanism caused by the outer hair cell motility are considered in order to get realistic estimates of the structure and magnitude of the mean flow field. The present paper introduces a two-stage approach for the numerical evaluation of the solutions on the basis of the finite element method. The first step deals with the calculation of the linear acoustic reaction whereas the second step is associated with the determination of a first-order approximation of the acoustic streaming field. It is shown that the results are essentially consistent with measurements as well as analytical and experimental considerations. In addition, the numerical estimates of the acoustically driven flows provide an instrument for a more profound discussion on their physiological impact. Keywords: Acoustic streaming; cochlea; fluid-structure interaction. Both future air traffic management programs SESAR and NextGen foresee trajectory based operations as one of the major enablers for more efficient handling of air traffic. Furthermore, both initiatives claim to support user preferred trajectories. Using a common airspace it is unlikely to get a conflict-free scenario from independently optimized preferred trajectories. This paper investigates if the concept of user preferred trajectories is feasible, and what constraints are necessary to reach a conflict-free global scenario. Restricting aircraft’s trajectories a priori by forcing them to fly on pre-defined en-route segments, respect semi-circular routes, or apply given departure and arrival times reduces the achievable efficiency, but helps to avoid conflicts and keep the concept simple. On the other hand, trying to combine independently optimized trajectories to a full traffic scenario needs a lot of adaptations to achieve conflict-free operations. Even though the good answer to a problem lies often in-between the extreme solutions, this paper investigates the second approach. Based on a real day of actual traffic over Europe, an optimized sample is generated applying user’s preferred trajectory for each flight. Based on an individually optimized traffic scenario yielding nearly 29,000 conflicts, strategic resolution is performed generating least possible penalties for involved aircraft. The main technique of solving conflicts applied is shifting whole flights in time by a few minutes. Direct and recursive algorithms are presented; a focus is put on solving airport-related conflicts first. The efficiency of the original optimized scenario stays untouched, as lateral, vertical, and speed profiles remain identical; flights are only rescheduled to a slightly earlier or later departure (and arrival) slot in order to minimize conflicts. More than 94% of all conflicts can be solved by shifting whole flights in time respecting a maximum offset of 10 minutes. In a subsequent step, lateral and vertical maneuvers are facilitated; resulting in a resolution for more than 97% of all conflicts. In the present work, we extend the theoretical and numerical discussion of the well-known Laplace–Beltrami operator by equipping the underlying manifolds with additional structure provided by vector bundles. Focusing on the particular class of flat complex line bundles, we examine a whole family of Laplacians including the Laplace–Beltrami operator as a special case. To demonstrate that our proposed approach is numerically feasible, we describe a robust and efficient finite-element discretization, supplementing the theoretical discussion with first numerical spectral decompositions of those Laplacians. Our method is based on the concept of introducing complex phase discontinuities into the finite element basis functions across a set of homology generators of the given manifold. More precisely, given an m-dimensional manifold M and a set of n generators that span the relative homology group Hm-1(M, ∂ M), we have the freedom to choose n phase shifts, one for each generator, resulting in a n-dimensional family of Laplacians with associated spectra and eigenfunctions. The spectra and absolute magnitudes of the eigenfunctions are not influenced by the exact location of the paths, depending only on their corresponding homology classes. Employing our discretization technique, we provide and discuss several interesting computational examples highlighting special properties of the resulting spectral decompositions. We examine the spectrum, the eigenfunctions and their zero sets which depend continuously on the choice of phase shifts. Haptic Rendering of Volume Data with Collision Detection Guarantee Using Path Finding. In this paper we present a novel haptic rendering method for exploration of volumetric data. It addresses a recurring flaw in almost all related approaches, where the manipulated object, when moved too quickly, can go through or inside an obstacle. Additionally, either a specific topological structure for the collision objects is needed, or extra speed-up data structures should be prepared. These issues could make it difficult to use a method in practice. Our approach was designed to be free of such drawbacks. An improved version of the method presented here does not have the issues of the original method – oscillations of the interaction point and wrong friction force in some cases. It uses the ray casting technique for collision detection and a path finding approach for rigid collision response. The method operates directly on voxel data and does not use any precalculated structures, but uses an implicit surface representation being generated on the fly. This means that a virtual scene may be both dynamic or static. Additionally, the presented approach has a nearly constant time complexity independent of data resolution. The well-known Laplace-Beltrami operator, established as a basic tool in shape processing, builds on a long history of mathematical investigations that have induced several numerical models for computational purposes. However, the Laplace-Beltrami operator is only one special case of many possible generalizations that have been researched theoretically. Thereby it is natural to supplement some of those extensions with concrete computational frameworks. In this work we study a particularly interesting class of extended Laplacians acting on sections of flat line bundles over compact Riemannian manifolds. Numerical computations for these operators have recently been accomplished on two-dimensional surfaces. Using the notions of line bundles and differential forms, we follow up on that work giving a more general theoretical and computational account of the underlying ideas and their relationships. Building on this we describe how the modified Laplacians and the corresponding computations can be extended to three-dimensional Riemannian manifolds, yielding a method that is able to deal robustly with volumetric objects of intricate shape and topology. We investigate and visualize the two-dimensional zero sets of the first eigenfunctions of the modified Laplacians, yielding an approach for constructing characteristic well-behaving, particularly robust homology generators invariant under isometric deformation. The latter include nicely embedded Seifert surfaces and their non-orientable counterparts for knot complements. We introduce the 3D-segmentation and -visualization software YaDiV to the mineralogical application of rock texture analysis. YaDiV has been originally designed to process medical DICOM datasets. But due to software advancements and additional plugins, this open-source software can now be easily used for the fast quantitative morphological characterization of geological objects from tomographic datasets.In this paper, we give a summary of YaDiV's features and demonstrate the advantages of 3D-stereographic visualization and the accuracy of 3D-segmentation for the analysis of geological samples. For this purpose, we present a virtual and a real use case (here: experimentally crystallized and vesiculated magmatic rocks, corresponding to the composition of the 1991-1995 Unzen eruption, Japan). Especially the spacial representation of structures in YaDiV allows an immediate, intuitive understanding of the 3D-structures, which may not become clear by only looking on 2D-images. We compare our results of object number density calculations with the established classical stereological 3D-correction methods for 2D-images and show that it was possible to achieve a seriously higher quality and accuracy.The methods described in this paper are not dependent on the nature of the object. The fact, that YaDiV is open-source and users with programming skills can create new plugins themselves, may allow this platform to become applicable to a variety of geological scenarios from the analysis of textures in tiny rock samples to the interpretation of global geophysical data, as long as the data are provided in tomographic form. In hot die forging processes, the selection of an ideal preform is of great importance with respect to cavity filling and mechanical load. The common procedure in order to define an adequate preform is the usage of Finite-Element-Analysis (FEA), usually as an iterative process in which various preforms are tested with regard to their suitability. An approach that aims at reducing the number of trials by proposing a first estimation of a suitable preform is presented in this paper. It is conjectured that the material flow paths and resistance can be described by the cavity shape using the Medial Axis Transformation. Based on this, a local inverse material flow for time discrete steps is calculated. The result is a first estimation of an adequate preform shape within a few minutes as an input for further FEA. FE-based parametric design optimization procedure is then presented and compared to the inverse approach, which is identified as a useful complement for the forward simulation technique. In Nonlinear Dynamics of Electronic Systems, Proceedings of NDES 2012. VDE. We present efficient algorithms for the simulation of problematic circuits with fast switching behavior based on the idea of tracing significant sets on the state space manifold. The switching behavior is represented by “jumps” from one part of the manifold to another. Our approach makes a regularization of the circuit unnecessary. In this article, we extend our approach to circuits with higher codimensions and jump spaces and verify the functionality by the application to a simple MOS flip flop. Furthermore, we show how to visualize the phenomena by using a special projection. In this paper, we present a novel method for computing multiple geodesic connections between two arbitrary points on a smooth surface. Our method is based on a homotopy approach that is able to capture the ambiguity of geodesic connections in the presence of positive Gaussian curvature that generates focal curves. Contrary to previous approaches, we exploit focal curves to gain theoretical insights on the number of connecting geodesics and a practical algorithm for collecting these. We consider our method as a contribution to the contemporary debate regarding the calculation of distances in general situations, applying continuous concepts of classical differential geometry which are not immediately transferable in purely discrete settings. Computing the spectral decomposition of the Laplace–Beltrami operator on a manifold M has proven useful for applications such as shape retrieval and geometry processing. The standard operator acts on scalar functions which can be identified with sections of the trivial line bundle M ×R. In this work we propose to extend the discussion to Laplacians on nontrivial real line bundles. These line bundles are in one-to-one correspondence with elements of the first cohomology group of the manifold with Z2 coefficients. While we focus on the case of two-dimensional closed surfaces, we show that our method also applies to surfaces with boundaries. Denoting by β the rank of the first cohomology group, there are 2β different line bundles to consider and each of these has a naturally associated Laplacian that possesses a spectral decomposition. Using our new method it is possible for the first time to compute the spectra of these Laplacians by a simple modification of the finite element basis functions used in the standard trivial bundle case. Our method is robust and efficient. We illustrate some properties of the modified spectra and eigenfunctions and indicate possible applications for shape processing. As an example, using our method, we are able to create spectral shape descriptors with increased sensitivity in the eigenvalues with respect to geometric deformations and to compute cycles aligned to object symmetries in a chosen homology class. Die Bestimmung der Vorform- und Zwischenformgeometrien nimmt bei der Auslegung der Stadienfolge für das Gesenkschmieden eine zentrale Stellung ein. Sie erfolgt bislang iterativ und zum größten Teil wissensbasiert. In diesem Beitrag wird ein Ansatz vorgestellt, mit dem das Ziel verfolgt wird, durch die zeitlich rückwärtsschreitende Betrachtung des Schmiedeprozesses die Einlegegeometrie der jeweiligen Vorstufe zu berechnen. Es wird hierfür ein Materialflussmodell angewendet, welches auf der Ermittlung des geometrischen Widerstandes im Schmiedeteil basiert und schnelle Rechenzeiten ermöglicht. In this work, we present the concept, design and implementation of a new software to visualize and segment 3-dimensional medical data. The main goal was to create a platform that would allow to try out new approaches and ideas while staying independent from hardware and operating system, being especially useful for interdisciplinary research groups. A special focus will be given on fast and interactive volume visualization and a survey on the use of Virtual Reality (VR) and especially haptic/force feedback in medical applications. We shall describe how concepts from differential geometry, especially from Riemannian geometry have been providing powerful tools creating major advances in geometric modeling, geometry processing and image analysis dealing with the topics presented in the title of this address. This talk includes a retrospective compiling contributions of the author's works showing how concepts from local and global differential geometry have introduced new methods into geometric modeling and shape interrogation and classification finally ending with modern state of the art research on geometry processing and image processing. A major part of this seminar is dedicated to discussing how "efficient finger prints" useful for indexing and clustering digital data collections can be derived from spectra of Laplace operators. Laplace operators can be naturally associated with geometric objects such as surfaces and solids as well as (colored) images - including 2d- and 3d-image data. Recently the latter works obtained particular attention in the area of medical imaging. Next we focus on cut loci, the medial axis and its inverse in Euclidean and Riemannian worlds. This work starts with basic medial axis results presented by the author in the early nineties. Those results state: The Medial Axis Transform can be used to reconstruct, modify and design a given shape ("Shape Reconstruction Theorem"). Under some weak assumptions, the medial axis contains the essence of the topological shape of the geometric object as it is a deformation retract of the given shape ("Topological Shape Theorem"). Therefore the medial axis contains the homotopy type of the given shape. We present recent results showing how geodesic Voronoi diagrams, geodesic medial axis and its inverse can be computed in 3d- or higher dimensional Riemannian spaces. The "medial axis inverse" allows to construct a medial modeler providing efficient features for shape optimization with respect to shape dependent mechanical properties. This talk includes a retrospective compiling contributions of the author`s works showing how concepts from local and global differential geometry have introduced new methods into CAGD. The seminar is essentially covering two areas surface contact and applications and distance computations and applications. We start sketching early contributions on curvature analysis in the context of surface contact. Here we are developing criteria for second order surface contact in two different situations, i.e., in case both surfaces have tangential contact along a curve and in case they have tangential contact in a single point. The second result can be used for computing curvature entities of surfaces with a degenerate parametrization (Wolter, 1992). The first result has been used in the context of the constructing curvature continuous blend surfaces. The results of both contact cases have been generalized by the speaker to surface contact of arbitrary order. Local computational methods such as tensorial differential equations for computing the orthogonal projection curve (J. Pegna, F.-E. Wolter (1989). (Semi-) global methods, e.g., Vectorfield Index - Method, (Kriezis, Patrikalakis, Wolter, 1991). Global differential geometric methods naturally yielding the concept of Cut Locus / Medial Axis, (e.g. Wolter, 1985,1992). The aforementioned distance geometric concepts yield applications useful for finding small loops in surface intersections and have been used also in the context of quality control of manufacturing, e.g., submarine propulsors and turbine blades. Real-time simulation of deformable objects involves many computational challenges to be solved, particularly in the context of haptic applications, where high update rates are necessary for obtaining a satisfying experience. The required performance can generally be achieved by introducing an intermediate layer responsible for the simulation of the small part of the surface being in contact with the fingers. In this paper, we present an algorithm controlling the run-time of the concurrent simulation threads. It uses information from previous simulation steps to estimate the time spent in the simulation operation considering also changes in the geometry of the intermediate layer. The introduction of such a local contact simulation introduces damping to the overall system. Its effect on the dynamics of the simulation system is experimentally analysed with an interaction test. This special issue has its origin in the NASAGEM 07 workshop that took place in October 2007, held as part of a sequence of events including the HAPTEX 07 workshop and the Cyberworlds 07 conference. This paper proposes the use of the surface based Laplace-Beltrami and the volumetric Laplace eigenvalues and -functions as shape descriptors for the comparison and analysis of shapes. These spectral measures are isometry invariant and therefore allow for shape comparisons with minimal shape pre-processing. In particular, no registration, mapping, or remeshing is necessary. The discriminatory power of the 2D surface and 3D solid methods is demonstrated on a population of female caudate nuclei (a subcortical gray matter structure of the brain, involved in memory function, emotion processing, and learning) of normal control subjects and of subjects with schizotypal personality disorder. The behavior and properties of the Laplace-Beltrami eigenvalues and -functions are discussed extensively for both the Dirichlet and Neumann boundary condition showing advantages of the Neumann vs. the Dirichlet spectra in 3D. Furthermore, topological analyses employing the Morse-Smale complex (on the surfaces) and the Reeb graph (in the solids) are performed on selected eigenfunctions, yielding shape descriptors, that are capable of localizing geometric properties and detecting shape differences by indirectly registering topological features such as critical points, level sets and integral lines of the gradient field across subjects. The use of these topological features of the Laplace-Beltrami eigenfunctions in 2D and 3D for statistical shape analysis is novel. Real-time cloth simulation involves many computational challenges to be solved, particularly in the context of haptic applications, where high frame rates are necessary for obtaining a satisfying experience. In this paper, we present an interactive cloth simulation system that offers a compromise between a realistic physics-based simulation of fabrics and a haptic application meeting high requirements in terms of computation speed. Our system allows the user to interact with the fabric using two fingers. The required performance of the system is achieved by introducing an intermediate layer responsible for the simulation of the small part of the surface being in contact with the fingers. The sixth International Conference on Cyberworlds (Cyber- worlds 2007) took place in the beautiful town of Hannover, Germany, in October 2007. The HAPTEX Workshop 2007 was co-hosted with the conference. The human peripheral auditory system is divided into the outer, middle and inner ear. The acoustic signal innervates the eardrum. The ossicles carry the signal forward to the inner ear. The system of the three ossicles transforms the acoustic signal. Another function of the middle ear is to protect the inner ear against loud noise. In the inner ear, the structure being responsible for hearing is the cochlea. It incorporates the organ of Corti containing the sensory cells that perform the transduction from mechanical excitation into auditory nerve signals. The cochlear can be described physically by three sections filled with fluid and separated by membranes. One of these is the basilar membrane. Acoustic stimulation by external sound is transformed into traveling waves with amplitude peaks at different places on the basilar membrane depending on the frequency of stimulation. An active mechanism including the outer hair cell somatic electro motility can add energy to the basilar membrane by providing positive feedback to the membrane vibrations. This phenomenon of cochlear amplification results in high sensitivity and increased frequency selectivity of the ear. This paper proposes to use the Laplace-Beltrami spectrum (LBS) as a global shape descriptor for medical shape analysis. The approach allows for shape comparisons using minimal shape preprocessing. In particular, no registration, mapping, or remeshing is necessary. The discriminatory power of the method is tested on a population of female caudate shapes of normal control subjects and of subjects with schizotypal personality disorder. While moving a fingertip over a fine surface we experience a sensation that gives us an idea of its properties. A satisfactory simulation of this feeling is still an unsolved problem. In this paper we describe a rendering strategy based on vibrations which play an important role in the tactile exploration of fine surfaces. To produce appropriate excitation patterns we use an array of vibrating contactor pins. Similar to the colour model in computer graphics we simulate arbitrary vibrations as a superposition of only two sinewaves. Each sinewave is intended for the excitation of a specific population of mechanoreceptors. We carried out first tests of our rendering strategy on Brownian surfaces of different fractal dimension. In the area of image retrieval from data bases and for copyright protection of large image collections there is a growing demand for unique but easily computable fingerprints for images. These fingerprints can be used to quickly identify every image within a larger set of possibly similar images. This paper introduces a novel method to automatically obtain such fingerprints from an image. It is based on a re-interpretation of an image as a Riemannian manifold. This representation is feasible for gray value images and color images. We discuss the use of the spectrum of eigenvalues of different variants of the Laplace operator as a fingerprint and show the usability of this approach in several use cases. Contrary to existing works in this area we do not only use the discrete Laplacian, but also with a particular emphasis the underlying continuous operator. This allows better results in comparing the resulting spectra and deeper insights in the problems arising. We show how the well known discrete Laplacian is related to the continuous Laplace-Beltrami operator. Furthermore we introduce the new concept of solid height functions to overcome some potential limitations of the method. In dieser Arbeit wird ein Verfahren eingeführt, einen numerischen Fingerabdruck bzw. eine Signatur (die "Shape-DNA") einer beliebigen 2d- oder 3d-Mannigfaltigkeit (Fläche oder Körper) zu berechnen. Hierzu werden die Eigenwerte bzw. das Spektrum des zugehörigen Laplace-Beltrami-Operators ermittelt. Es ist ein neuer Ansatz, dieser Laplace-Beltrami-Spektren als Fingerabdrücke von Flächen und Körpern zu nutzen. In dieser Arbeit wird eine Methode entwickelt, um große Sammlungen von Bildern, vorliegend als aus Pixeln bestehende Grauwert- oder Farbbilder, zu organisieren. Zu diesem Zweck wird jedem Bild ein weitgehend eindeutiger Fingerabdruck, eine Sequenz von Fließkommazahlen, zugeordnet. Diese Sequenz wird aus den Eigenwerten eines zum Bild passenden Laplace-Operators gewonnen, wobei sich Variationen dieser Methode durch die Wahl der Repräsentation des Bildes (als Graph der Höhenfunktion beziehungsweise als Massendichtefunktion) und des Operators (Laplace-Beltrami- beziehungsweise Kirchhoff-Operator) ergeben. Es wird gezeigt, dass die so gewonnenen Fingerabdrücke aufgrund ihrer Herkunft von isometrieinvarianten Operatoren nützliche Eigenschaften für die Erkennung von Bildern haben. Es wird demonstriert, in welchen Situationen dieses Verfahren gut funktioniert, und wann sich jeweils Probleme durch isometrische oder isospektrale Repräsentationen ergeben können. This paper introduces a method to extract "Shape-DNA", a numerical fingerprint or signature, of any 2d or 3d manifold (surface or solid) by taking the eigenvalues (i.e. the spectrum) of its Laplace-Beltrami operator. Employing the Laplace-Beltrami spectra (not the spectra of the mesh Laplacian) as fingerprints of surfaces and solids is a novel approach. Since the spectrum is an isometry invariant it is independent of the object's representation including parametrization and spatial position. Additionally the eigenvalues can be normalized, so that uniform scaling factors for the geometric objects can be obtained easily. Therefore, checking if two objects are isometric needs no prior alignment (registration/localization) of the objects but only a comparison of their spectra. In this paper we describe the computation of the spectra and their comparison for objects represented by NURBS or other parametrized surfaces (possibly glued to each other), polygonal meshes as well as solid polyhedra. Exploiting the isometry invariance of the Laplace-Beltrami operator, we succeed in computing eigenvalues for smoothly bounded objects without discretization errors caused by approximation of the boundary. Furthermore, we present two non-isometric but isospectral solids that cannot be distinguished by the spectra of their bodies and present evidence that the spectra of their boundary shells can tell them apart. Moreover, we show the rapid convergence of the heat trace series and demonstrate that it is computationally feasible to extract geometrical data such as the volume, the boundary length and even the Euler characteristic from the numerically calculated eigenvalues. This fact not only confirms the accuracy of our computed eigenvalues, but also underlines the geometrical importance of the spectrum. With the help of this "Shape-DNA" it is possible to support copyright protection, database retrieval and quality assessment of digital data representing surfaces and solids. This paper presents matching and similarity evaluation meth- ods between two NURBS surfaces, and their application to copyright protection of digital data representing solids or NURBS surfaces. Two methods are employed to match ob- jects: the moment and the curvature methods. The moment method uses integral properties, i.e. the volume, the princi- pal moments of inertia and directions, to find the rigid body transformation as well as the scaling factor. The curva- ture method is based on the Gaussian and the mean cur- vatures to establish correspondence between two objects. The matching algorithms are applied to problems of copy- right protection. A suspect model is aligned to an original model through the matching methods so that similarity be- tween two models can be assessed to determine if the suspect model contains part(s) of the original model, which may be stored in an independent repository. Three types of tests, the weak, intermediate and strong tests, are proposed for similarity assessment between two objects. The weak and intermediate tests are performed at node points obtained through shape intrinsic wireframing. The strong test relies on isolated umbilical points which can be used as finger- prints of an object for supporting an ownership claim to the original model. The three tests are organized in two decision algorithms such that they produce systematic and statistical measures for a similarity decision between two objects in a hierarchical manner. Based on the systematic and statistical evaluation of similarity, a decision can be reached whether the suspect model is an illegal copy of the original model. The author explains how stable umbilics, the spectra of the Laplace – and of the Laplace-Beltrame-operator and also how the Medial Axis can be used to classify the shape of surfaces and solids. The approach suggesting to distinguish shapes by using the Spectra of the Laplace – and of the Laplace-Beltrami-operator appears to be completely new in the areas of geometric modeling, CAD and Computer Graphics in general. In the second part of the talk it is shown that the Medial Axis transform provides geometric concepts that might be employed to develop intuitive user interfaces useful to mould shape via haptic man/machine interaction. The Editorialship of the special issue of "The Visual Computer" for the Computer Graphics International 1998. The editorial of the special issue of the "Journal of Visualization and Computer Animation" for the Computer Graphics International 1998. The editorial of the special issue of "Graphical Models" for the Computer Graphics International 1998. Seminar at the Brown University on Friday the 11th of February 2000. More on our mirror page. A generalization of a theorem by Pegna and Wolter --- called Linkage Curve Theorem --- is presented. The new theorem provides a condition for joining two surfaces with high order geometric continuity of arbitrary degree n . It will be shown that the Linkage Curve Theorem can be generalized even for the case when the common boundary curve is only G1 . In this paper we will extend the concept of Voronoi diagrams to parameterized surfaces where distance between two points is defined as infimum over the length of surface paths connecting these points. We will present a method to compute Voronoi diagrams on these surfaces. Medial curves considered in this paper may be regarded roughly spoken as the local equidistantial set of certain subarcs of two given border curves. In contrast to the problem of computing the equidistantial set (which is a global problem) we focus our attention on the related local problem by ignoring the question whether the computed curve consists only of points that are truly equidistantial to both border curves, the latter ones considered in their full range. In this paper a method for tracing the medial curve of two border curves is presented. This method is based on the numerical solution of a system of differential equations in the parameter space of the considered surface. It is proven that this system remains regular as long as the medial curve stays away from local points of the border curves. Finally, it is indicated how the concept might be extended in order to trace the focal curve of a given curve on the surface. The techniques here are designed to work on arbitrary regular surfaces where distance has to be understood as geodesic distance. The method however is useful in the planar case, too. A novel technique for designing curves on surfaces is presented. The design specifications for this technique derive from other works on curvature continuous surface fairing. Briefly stated, the technique must provide a computationally efficient method for the design of surface curves that is applicable to a very general class of surface formulations. It must also provide means to define a smooth natural map relating two or more surface curves. The resulting technique is formulated as a geometric construction that maps a space curve onto a surface curve. It is designed to be coordinate independent and provides isoparametric maps for multiple surface curves. Generality ofthe formulation is attained by solving a tensorial differential equation formulated in terms of local differential properties of the surfaces. For an implicit surface, the differential equation is solved in three-space. For a parametric surface the tensorial differential equation is solved in the parametric space associated with the surface representation. This technique has been tested on a broad class of examples including polynomials, splines, transcendental parametric and implicit surface representations. The medial axis transform is a representation of an object which has been shown to be useful in design, interrogation, animation, finite element mesh generation, performance analysis, manufacturing simulation, path planning, and tolerance specification. In this paper, the theory of the medial axis transform for 3-D objects is developed. For objects with piecewise C² boundaries, relationships between the curvature of the boundary and the position of the medial axis are developed. For n -dimensional submanifolds of nwith boundaries which are piecewise C² and completely G¹, a deformation retract is set up between each object and its medial axis, which demonstrates that if the object is path connected, then so is its medial axis. Finally, it is proven that path connected polyhedral solids without cavities have path connected medial axes. This paper describes a method to extract the generic features of free-form parametric surfaces for shape interrogation. The umbilical points, which are the singular points of the orthogonal net of lines of curvature, have generic features and may act like fingerprints for shape recognition. We investigate the generic features of the umbilics and behavior of lines of curvature which pass through an umbilic on a parametric free-form surface. Our method is based on a coordinate transformation to set the parametric surface in Monge form and on a Taylor expansion to compute the angles of the tangent lines to the lines of curvatures at an umbilic. We also develop a novel and practical criterion which assures the existence of local extrema of principal curvature functions at umbilical points. Finally, numerical experiments illustrate how the generic features of the umbilics can be applied for surface recognition. Localization is the process of determining the rigid-body translations and rotations that must be performed on the set of points measured on a manufactured surface to move those points into closest correspondence with the ideal design surface. In unconstrained localization all points have equal effect on the determination of the rigid-body transformation, while constrained localization allows a subset of the points to have stronger influence on the transformation. The measured points are physical points in space obtained by direct measurement of a manufactured marine propeller blade. The ideal design surface is the surface description of the propeller blade provided by the blade designer. Given that the measured blade is manufactured from the design surface description, the localization determines a Euclidean motion that brings the measured points of the manufactured surface as close as possible to the design surface. An additional option is to determine an offset distance, such that the Euclidean motion brings the measured points as close as possible to the offset of the design surface. For this optimization problem the offset distance is a seventh parameter that must be determined in addition to the six parameters of the Euclidean motion. After localization, the offset of the design surface that was determined can be used to extract the gross geometric features of the manufactured blade. These features have important hydrodynamic functions and include the camber surface, section thickness function, pitch, rake, skew, chord length, maximum thickness, maximum camber, and the leading-edge curve. The approximation of the camber surface, which is the basis of most of the remaining features, is an intricate problem relying on an extension of the concept of a Brooks ribbon. It requires the solution of a system of nonlinear differential equations and a complicated error evaluation scheme. The cut C A locus of a closed set A in the Euclidean space E is defined as the closure of the set containing all points p which have at least two shortest paths to A . We present a theorem stating that the complement of the cut locus i.e. E\(C A u A) is the maximal open set in (E\A) where the distance function with respect to the set A is continuously differentiable. This theorem includes also the result that this distance function has a locally Lipschitz continuous gradient on (E\A) . The medial axis of a solid D in E is defined as the union of all centers of all maximal discs which fit in this domain. We assume in the medial axis case that D is closed and that the boundary d D of D is a topological (not necessarily connected) hypersurface of E . Under these assumptions we prove that the medial axis of D equals that part of the cut locus of d D which is contained in D . We prove that the medial axis has the same homotopy type as its reference solid if the solid's boundary surface fulfills certain regularity requirements. We also show that the medial axis with its related distance function can be used to reconstruct its reference solid. We prove that the cut locus of a solid's boundary is nowhere dense in the Euclidean space if the solid's boundary meets certain regularity requirements. We show that the cut locus concept offers a common frame work lucidly unifying different concepts such as Voronoi diagrams, medial axes and equidistantial point sets. In this context we prove that the equidistantial set of two disjoint point sets is a subset of the cut locus of the union of those two sets and that the Voronoi diagram of a discrete point set equals the cut locus of that point set. We present results which imply that a non-degenerate C 1 -smooth rational B-spline surface patch which is free of self-intersections avoids its cut locus. This implies that for small enough offset distances such a spline patch has regular smooth offset surfaces which are diffeomorphic to the unit sphere. Any of those offset surfaces bounds a solid (which is homeomorphic to the unit ball) and this solid's medial axis is equal to the progenitor spline surface. The spline patch can be manufactured with a ball cutter whose center moves along the regular offset surface and where the radius of the ball cutter equals the offset distance. Computer Aided Geometric Design (CAGD) of surfaces sometimes presents problems that were not envisioned in classical differential geometry. This paper presents mathematical results that pertain to the design of curvature continuous blending surfaces. Curvature continuity across normal continuous surface patches requires that normal curvatures agree along all tangent directions at all points of the common boundary of two patches, called the linkage curve. The Linkage Curve theorem proved here shows that, for the blend to be curvature continuous when it is already normal continuous, it is sufficient that normal curvatures agree in one direction other than the tangent to a first order continuous linkage curve. This result is significant for it substantiates earlier works in computer aided geometric design. It also offers simple practical means of generating second order blends for it reduces the dimensionality of the problem to that of curve fairing, and is well adapted to a formulation of the blend surface using sweeps. From a theoretical viewpoint, it is remarkable that one can generate second order smooth blends with the assumption that the linkage curve is only first order smooth. The geometric criteria presented my be helpful to the designer since curvature continuity is a technical requirement in hull or cam design problems. The usefulness of the linkage curve theorem is illustrated with a second order blending problem whose implementation will not be detailed here. The objective of this paper is to present an efficient adaptive algorithm to approximate high-degree and procedural continuous parametric curves by integral B-splines. This approximation algorithm covers nonperiodic and periodic curves. The approximation algorithm is motivated and accompanied by an extensive discussion on approximation errors for position and derivatives accuracies. This discussion includes the derivation of local error bounds for position and derivative errors. The practicality and efficiency of the algorithm is demonstrated for a variety if examples in geometric modeling of engineering structures. The approximation algorithm for the curve forms the basis of a similar surface approximation procedure. This paper presents a method to compute curvatures of a surface patch S obtained from a degenerate representation defined over a rectangular domain. To compute curvatures at a point q in S where the surface representation is degenerate one has to assume that the point set S has a tangent plane and well defined curvatures at the point q where the curvatures are to be computed. Our computation method employs a local height function representation of S in a neighborhood of the point q where the height function h is defined over the tangent plane of S at the point q . In our method the second order partial derivatives of the height function h at q are computed by using second order derivatives of any three surfaces curves on S which end up in q with pairwise linearly independent tangent directions. The curvature entities of S at q are then computed by using the second order partial derivatives of the height function h at q . We also show how the method is extended to compute partial derivatives of any order of the function h at q . For this purpose we show (in Theorem 1) how the partial derivatives up to n th order of a surface at a point q can be computed using derivatives up to order n of n + 1 surface curves emanating from q . We also present a definition of a concept of generalized surface curvatures under weaker assumptions appropriate for degenerate surfaces. Under those weaker assumptions one does not require a locally C ²-smooth height function representation of the surface over the tangent plane at the degenerate point q , nor a locally well defined (single-valued) height function representation of the surface in a neighborhood of the point q . One only needs the existence of a unique local second order approximation of the degenerate surface with a quadratic function defined over the tangent plane at q . The surface curvatures of the corresponding approximating quadratic surface then define the curvatures of the approximated degenerate surface in the contact point q . An implicit representation of the intersection of two parametric surface patches is formulated in terms of the zero level set of the oriented distance function of one surface from the other. The topological properties of the vector field defined as the gradient of the oriented distance function (and specifically the concepts of the rotation number of a vector field and the Poincaré index theory) are next used to formulate a condition for the detection of critical points of the filed, which may be used to identify internal loops and singularities of the solution. An adaptive search guided by this condition and direct numerical techniques are used to detect and compute critical points. Tensorial differential equations that rely on the implicit representation of the intersection are then developed, and are used to trace intersection segments. The tracing scheme relies on a characterization procedure for singular points that allows the computation of the tangent directions to the intersection curve at such points. The method also allows the tracing of degenerate intersection between surfaces that have a common tangent plane along the intersection curve. Examples drawn from rational spline surface intersections illustrate the above techniques. Contains basic key results results and fundamental ideas on Cut Loci that were the starting point for Wolter's later follow up generalizations in his Ph.D. thesis and in the MIT report focussing on cut loci and medial Axes in the Euclidean case. The focus from most Virtual Reality (VR) systems lies mainly on the visual immersion of the user. But the emphasis only on the visual perception is insufficient for some applications as the user is limited in his interactions within the VR. Therefore the textbook presents the principles and theoretical background to develop a VR system that is able to create a link between physical simulations and haptic rendering which requires update rates of 1\,kHz for the force feedback. Special attention is given to the modeling and computation of contact forces in a two-finger grasp of textiles. Addressing further the perception of small scale surface properties like roughness, novel algorithms are presented that are not only able to consider the highly dynamic behaviour of textiles but also capable of computing the small forces needed for the tactile rendering at the contact point. Final analysis of the entire VR system is being made showing the problems and the solutions found in the work. Während seiner Arbeit im HAPTEX-Projekt und später in seiner Dissertation hat Dennis Allerkamp hier im Welfenlab die haptische Wahrnehmung des Menschen insbesondere für Anwendungen in virtuellen Umgebungen erforscht. Dabei entstanden sowohl eine haptische Simulation der Oberfläche von Textilien, als auch ein haptisches Display, das die simulierten Tastimpulse für einen Menschen fühlbar machen kann. In seinem jetzt erschienenen Buch "Tactile Perception of Textiles in a Virtual-Reality System" beschreibt er ein solches System komplett von den wahrnehmungspsychologischen und biologischen Grundlagen bis hin zu der technischen Umsetzung und experimentellen Ergebnissen. Das Buch erscheint in der COSMOS-Reihe des Springerverlags unter der ISBN 978-3-642-13973-4. The need for handling huge amounts of data from several sources is becoming increasingly important for biomedical scientists. In the past, there were mainly different modalities in imaging techniques that had to be combined. Those modalities usually measured different physical effects from the same object and shared dimensions and resolution. Nowadays, an increasing number of complex use cases exist in biomedical science and clinical diagnostics that require data from various domains, each one related to a different spatiotemporal scale. Multiscale spatial visualization and interaction can help physicians and scientists to explore and understand this data. In the recent years, the number of published articles on efficient scientist-centric visualization and interaction methods has drastically increased. This chapter describes current techniques on multiscale visualization and user interaction and proposes strategies to accommodate current needs in biomedical data analysis. This chapter presents an overview on contributions of the Welfenlab to GRK 615. Those contributions partial to computational differential geometry include computations of geodesic medial axis, cut locus, geodesic Voronoi diagrams, (“shortest”) geodesics joining two given points, “focal sets and conjugate loci” in Riemannian manifolds and the application of the medial axis on metal forming simulation. The chapter includes also the computation of Laplace spectra of surfaces, solids and images and the application of those Laplace spectra to recognize the respective objects in large collections of surfaces, solids and images. Beyond that this article touches also on the origin of the aforementioned works including research done at the Welfenlab as well as works that can be traced back to the graduate studies of the first author. A geometric model of an object – in most cases being a subset of the three dimensional space – can be used to better understand the object’s structure or behavior. Therefore data such as the geometry, the topology and other application specific data have to be represented by the model. With the help of a computer it is possible to manipulate, process or display these data. We will discuss different approaches for representing such an object: Volume based representations describe the object in a direct way, whereas boundary representations describe the object indirectly by specifying its boundary. A variety of different surface patches can be used to model the object’s boundary. For many applications it is sufficient to know only the boundary of an object. For special objects explicit or implicit mathematical representations can easily be given. An explicit representation is a map from a known parameter space for in- stance the unit cube to 3D-space. Implicit representations are equations or relations such as the set of zeros of a functional with three unknowns. These can be very efficient in special cases. A geometric model of an object - in most cases being a subset of the three dimensional space -- can be used to better understand the object's structure or behaviour. Therefore data such as the geometry, the topology and other application specific data have to be represented by the model. With the help of a computer it is possible to manipulate, process or display these data. We will discuss different approaches for representing such an object: Volume based representations describe the object in a direct way, whereas boundary representations describe the object indirectly by specifying its boundary. A variety of different surface patches can be used to model the object's boundary. For many applications it is sufficient to know only the boundary of an object. For special objects explicit or implicit mathematical representations can easily be given. An explicit representation is a map from a known parameter space e.g. the unit cube to 3D-space. Implicit representations are equations or relations such as the set of zeros of a functional with three unknowns. These can be very efficient in special cases. As an example of volume based representations we will give a brief overview of the voxel representation. We also show how the boundary of complex objects can be assembled by simpler parts e.g. surface patches. These come in a variety of forms: planar polygons, parametric surfaces defined by a map from 2D-space to 3D-space, especially spline surfaces and trimmed surfaces, multiresolutionally represented surfaces, e.g. wavelet-based surfaces and surfaces obtained by subdivision schemes. In a boundary representation only the boundary of a solid is described. This is usually done by describing the boundary as a collection of surface patches attached to each other at outer edges. One of the (topologically) most complete schemes is the half-edge data structure as described by Mäntylä. Simple objects constructed via any of the methods above can be joined to build more complex objects via Boolean operators (constructive solid geometry, CSG). Constructing an object one has to assure that the object is in agreement with the topological requirements of the modeling system. Notoriously difficult problems are caused by the fact that most modeling systems can compute surface intersections only with a limited precision. This yields numerical results that may finally cause major errors e.g. topologically contradictory conclusions. The rather new method of "Medial Modeling" is also presented. Here an object is described by its medial axis and an associated radius function. The medial axis itself is a collection of lower dimensional objects, i.e. for a 3D-solid a set of points, curves and surface patches. This medial modeling concept developed at the Welfenlab yields a very intuitive user interface useful for solid modeling, and also gives as a by-product a natural meshing of the solid for FEM computations. Additional attributes can be attached to an object, i.e. attributes of physical origin or logical attributes. Physical attributes include photometric, haptical and other material properties, such as elasticity or roughness. Physical attributes are often specified by textures, i.e. functions that relate surface points to certain quantities of the attribute. The most common use for these are photometric textures, although they can also be used for roughness etc. Logical attributes relate the object to its (data-)environment. They can e.g. group objects which are somehow related, or they can associate scripts to the object, such as callbacks for user interactions. This paper was presented within the NASAGEM Workshop of CGI 2013, see Table of Contents CGI. In this work we present computational meth- ods dealing with dynamical systems. We focus on those systems being characterized by slow-fast vector fields or corresponding differential algebraic equations that commonly occur in physical applications. In the latter one usually considers a manifold of admissible physi- cal states and a vector field describing the evolution of the physical system over time. The manifold is embed- ded within a higher-dimensional space and is implicitly defined by a system of equations. Certain physical sys- tems, such as so-called relaxation oscillators, perform sudden jumps in their state evolution which are diffi- cult to model. The main contribution of the present work is to approach this problem from a geometric per- spective which provides not only a qualitative analy- sis but also produces quantitative results. We describe techniques for explicitly computing parametrizations of the implicitly defined manifold and of the relevant jump and hit sets. This allows us to compute the dynamical evolution of the system including the aforementioned jump phenomena. As main tools we use homotopy ap- proaches in conjunction with tools from differential ge- ometry such as geodesic polar coordinates. We discuss how to numerically realize and how to apply them to several examples from mechanics, electrical engineering and biology. This publication is a contribution to basic research in image comparison using eigenvalue spectra as features. The differential-geometric approach of eigenvalue spectrum based descriptors is naturally applicable to shape data, but so far little work has been done to transfer it to the setting of image data painted on a rectangle or general curved surface. We present a new semi-global feature descriptor that also contains information about geometry of shapes visible in the image. This may not only improve the performance of the resulting distance measures, but may even enable us to approach the partial matching problem using eigenvalue spectra, which were previously only considered as global feature descriptors. We introduce some concepts that are useful in designing and understanding the behavior of similar fingerprinting algorithms for images (and surfaces) and discuss some preliminary results. Within Riemannian geometry the geodesic exponential map is an essential tool for various distance related investigations and computations. Several natural questions can be formulated in terms of its preimages, usually leading to quite challenging non- linear problems. In this context we recently proposed an approach for computing multiple geodesics connecting two arbitrary points on two-dimensional surfaces in situations where an ambiguity of these connecting geodesics is indicated by the presence of so-called focal curves. The essence of the approach consists in exploiting the structure of the associated focal curve and using a suitable curve for a homotopy algorithm to collect the geodesic connections. In this follow-up discussion we extend those constructions to overcome a significant limitation inherent in the previous method, i.e. the necessity to construct homotopy curves artificially. We show that considering homotopy curves meeting a focal curve tangentially leads to a singularity that we investigate thoroughly. Solving this so–called geodesic bifurcation analytically and dealing with it numerically provides not only theoretical insights, but also allows geodesics to be used as homotopy curves. This yields a stable computational tool in the context of computing distances. This is applicable in common situations where there is a curvature induced non-injectivity of the exponential map. In particular we illustrate how applying geodesic bifurcation solves the distance problem on compact manifolds with a single closed focal curve. Furthermore the presented investigations provide natural initial values for computing cut loci and medial curves using the medial differential equation. A haptic exploration adds an additional dimension to working with 3D data: a sense of touch. This is especially useful in areas such as medical training and pre-surgical planning, entertainment, CAD and others. Each haptic rendering frame consists of three stages: collision detection, collision response and force- feedback generation. In order to feel the 3D data smoothly, an update rate of at least 1 kHz is required [Brooks Jr. et al. 1990]. Unaddressed practical problems for almost all haptic rendering methods are that no guarantees for collision detection could be given and/or that a special topological structure of objects is required. Here we present an approach which does not have these drawbacks. Furthermore our algorithm has nearly constant time complexity independent of data resolution and does not require any additional pre-computed structures. We focus on volumetric voxel data, since that is the direct input from the scanning devices. Other data types could be transformed to this one, if necessary. Haptic exploration adds an additional dimension to working with 3D data: a sense of touch. This is especially useful in areas such as medical simulation, training and pre-surgical planning, as well as in museum display, sculpting, CAD, military applications, assistive technology for blind and visually impaired, entertainment and others. There exist different surface- and voxel-based haptic rendering methods. Unaddressed practical problems for almost all of them are that no guarantees for collision detection could be given and/or that a special topological structure of objects is required. Here we present a novel and robust approach based on employing the ray casting technique to collision detection, which does not have the aforementioned drawbacks while guaranteeing nearly constant time complexity independent of data resolution. This is especially important for such delicate procedures as pre-operation planning. A collision response in the presented prototype system is rigid and operates on voxel data, and no precalculation is needed. Additionally, our collision response uses an implicit surface representation "on the fly", which can be used with dynamically changing objects. With the ever rising quality and complexity standards in computer graphics, the generation of detailed content has become a bottleneck. While high quality visualization can be achieved at comparatively low cost, content generation remains a labor intensive and expensive task. Procedural approaches can support this process by automating parts of it. One common problem of procedural methods is that the variables controlling the result are difficult to adjust. Especially fractals may have unintuitive parameters, which make them difficult to handle in praxis. In this paper we introduce the concept of a Region Tree to structure the workflow with these procedures and present a supporting framework. On top of this we show how we used GPU integration to make interactive editing possible. With this approach it is easy to construct any number of procedural models from a set of user defined characteristics. We illustrate our method by creating an earth-like complex planet completely procedurally. A special class of nonlinear electronic circuits exhibits jump effects which occurs e.g. when the state space of an electronic system contains a fold. This can lead to difficulties during the simulation of these systems with standard circuit simulators. A common treatment to overcome these problems is to regularise these systems by adding suitably located parasitic inductors L's and capacitors C's. We propose a geometric approach and derive methods for solving circuit equations by means of algorithms from computational differential geometry. In this paper the geometric methods will be applied to an electronic multivibrator and numerical results will be presented. The difficulties to analyse the state space of a special class of nonlinear electronic circuits are illustrated and a new method to treat these problems is presented. Theoretical aspects of circuit equations from a differential geometric point of view are considered and methods for solving circuit equations by means of algorithms from computational differential geometry are presented. In this paper differential geometric methods were applied to a relaxation oscillator and numerical results were achieved. We describe the behaviour of an emitter-coupled multivibrator with differential algebraic equations and compute its state space numerically. The actions of modelling and manipulating virtual objects in three-dimensional environments are required for a number of applications in the virtual prototyping process for industrial production as well as in the movie and entertainment business. The research and development of interactive systems enabling such operations focus on reproducing the visual appearance, dynamic behaviour and contact response of the simulated objects. This paper presents two application examples of interactive manipulation frameworks which have been respectively designed for the interaction with virtual hair and virtual textiles. Nonlinear Electric Circuit Analysis from a Differential Geometric Point of View. Theoretical aspects of circuit equations from a differential geometric point of view are considered and methods for solving circuit equations by means of algorithms from computational differential geometry are presented. These methods are illustrated by means of some simple circuit examples. Analysis of Jump Behavior in Nonlinear Electronic Circuits Using Computational Geometric Methods. In this work we describe the behavior of electrical circuits by a mixture of algebraic and differential equations. We show how to use a geometric interpretation and geometric algorithms to explicitly compute operation points for a special class of electronic circuits. To that end, we discuss how to trace curves on folded manifolds. In recent years, the computer gaming industry has become a large and important market and impressive amounts of money are spent on the development of new game engines. In contrast to their development costs, the price for the final product is very low compared to a professional 3D visualization/animation program. The idea to use this potential for other purposes than gaming seems obvious. This work gives a review on three Serious Gaming projects, analyzes the encountered problems in a greater context and reflects the pros and cons of using game engines for scientific applications in general. in Proceedings of NASAGEM, Hannover, 26th October 2007. This paper proposes to use the volumetric Laplace spectrum as a global shape descriptor for medical shape analysis. The approach allows for shape comparisons using minimal shape preprocessing. In particular, no registration, mapping, or remeshing is necessary. All computations can be performed directly on the voxel representations of the shapes. The discriminatory power of the method is tested on a population of female caudate shapes (brain structure) of normal control subjects and of subjects with schizotypal personality disorder. The behavior and properties of the volumetric Laplace spectrum are discussed extensively for both the Dirichlet and Neumann boundary condition showing advantages of the Neumann spectra. Both, the computations of spectra on 3D voxel data for shape matching as well as the use of the Neumann spectrum for shape analysis are completely new. Real-time cloth simulation involves many computational challenges to be solved, particularly in the context of haptic applications, where high frame rates are necessary for obtaining a satisfying experience. In this paper, we present an interactive cloth simulation system that offers a compromise between a realistic physics-based simulation of fabrics and a haptic application meeting high requirements in terms of computation speed. Our system allows the user to interact with the fabric using two fingers. The required performance of the system is achieved by introducing an intermediate layer responsible for the simulation of the small section of the surface being in contact with the fingers. We compare several contact models to obtain the best compromise in the context of haptic applications. in Proceedings of the ICEC 2007, Invited Paper. While the animation and rendering techniques used in the domain of textile simulation have dramatically evolved during the last two decades, the ability to manipulate and modify virtual textiles intuitively using dedicated ergonomic devices has been definitely neglected. The project HAPTEX combines research in the field of textile simulation and haptic interfaces. HAPTEX aims to provide a virtual reality system allowing for multipoint haptic interaction with a piece of virtual fabric simulated in real-time. The fundamental research undertaken by the project ranges from the physics-based simulation of textiles to the design and development of novel tactile and force-feedback rendering strategies and interfaces. The EU funded RTD project "HAPTEX" addresses the challenge of developing a Virtual Reality (VR) system for the realistic and accurate rendering of the physical interactions of humans with textiles, through the real-time generation of artificial visual and haptic stimuli. This challenge concerns the development of both the SW and the HW components of the VR system, as well as it implies a substantial advancement in the understanding of the mechanisms underlying the human haptic perception of fine physical properties like those of textiles. 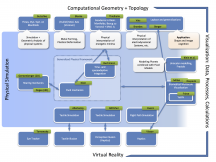 This paper reports some important details relating to the technical implementation of the developed HW and SW components with special emphasis on the issues related to their integration into a single VR system. Furthermore some preliminary results relating to the functional tests carried out on the integrated system are also reported. In this work we present an approach to generate a tactile representation from an image that may be a photograph or a scan of cloth. A large class of fabrics can be generated by repetition of a parallelogram primitive. That means there are two non-collinear directions where the pattern is periodically repeated. The method we present is based on analysing the repetitive structure of the sample, that is to find the two principle directions of repetition, and building a model from that analysis. We compare our method to a technique developed by Gang Huang. The main contribution of this work is the generalization of the Medial Axis Transform (MAT) and the Medial Axis Inverse Transform MAIT) to complete Riemannian manifolds. It is known that almost every solid can be reconstructed from its medial axis and the corresponding radius function. In the past this reconstruction scheme has only been implemented in Euclidean spaces. We use the concept of Fermi coordinates that represent a natural generalization of conventional coordinates. However, this concept only works out properly if some substantial conditions for the radius function are established. Several approaches for the computation of the medial axis have been implemented so far but almost all of them lack good numerical results. Usually numerical errors occur because the approaches operate on a discretised model of the corresponding objects. In this work we will assume that both the 3D Riemannian space and the modelled object can be represented by smooth mappings and coordinate charts respectively. Therefore, we can introduce the so called medial equations that will allow us to compute medial surface patches using the implicit function theorem. Finally we will give examples for the MAT and the MAIT and show to what extent the inverse transform is applicable in the context of Computer Aided Geometric Design. The Geodesic Medial Modeller is one of those applications. The Voronoi diagram has been investigated intensively throughout the last decades. This has been done not only in the context of Euclidean geometry but also in curved spaces. Most methods typically make use of some fast marching cube algorithms. In this work we will focus on the computation of Voronoi diagrams including Voronoi objects that are contained in a Riemannian manifold with a differentiable structure. Our approach relies on the precise computation of shortest joins of any two given points on the manifold. For these computations we did not apply shooting or related methods. Instead, we used a new perturbation method that operates on a family of deformed manifolds. To reduce time and space complexity we suggest to use a randomised incremental construction scheme (RICS). In this work, we also present several examples of Voronoi diagrams computed with our method. Modern multimedia applications generate vast amounts of image data. With the availability of cheap photo hardware and affordable rendering software even more such data is being collected. In order to manage huge collections of image data one needs short representations of the data sets, or to be more precise invariant features being appropriate to identify a specific voxel data set using just a few numbers. This paper describes a variation of a method introduced by Reuter, Wolter and Peinecke based on the computation of the spectrum of the Laplace operator for the image for generating an invariant feature vector - a fingerprint. Opposed to previous techniques interpreting the image as a height function we make use of the representation of the image as a density function. We discuss the use of the spectrum of eigenvalues of the Laplace mass density operator as a fingerprint and show the usability of this approach in several cases. Instead of using the discrete Laplace-Kirchhoff operator the approach presented in this paper is based on the continuous Laplace operator allowing better results in comparing the resulting spectra and deeper insights into the problems arising when comparing two spectra generated using discrete Laplacians. Hot metal forging and precision-forging of machine parts are important production techniques. Forging processes generally consist of several steps and have to be designed from top down. Beginning with the final product, the design engineer derives the intermediate steps of the process in inverse order, using simulations to evaluate and validate them. The simulations are generally based on the finite element method, a widely employed technique in engineering. Two problems exist with this method: 1. The run-time of the simulations is often very long, depending on the spatial and temporal resolution of the simulated process. 2. The simulation progresses from one intermediate step to the next, while the engineer has to lay out the steps in inverse order. We propose a technique which adresses these problems, by following an approach relying on the geometry of the form and elementary plasticity theory. This method allows for a coarse approximation of the material flow that can be inverted. This paper introduces a method to extract fingerprints of any surface or solid object by taking the eigenvalues of its respective Laplace-Beltrami operator. Using an object's spectrum (i.e. the family of its eigenvalues) as a fingerprint for its shape is motivated by the fact that the related eigenvalues are isometry invariants of the object. Employing the Laplace-Beltrami spectra (not the spectra of the mesh Laplacian) as fingerprints of surfaces and solids is a novel approach in the field of geometric modeling and computer graphics. Those spectra can be calculated for any representation of the geometric object (e.g. NURBS or any parametrized or implicitly represented surface or even for polyhedra). Since the spectrum is an isometry invariant of the respective object this fingerprint is also independent of the spatial position. Additionally the eigenvalues can be normalized so that scaling factors for the geometric object can be obtained easily. Therefore checking if two objects are isometric needs no prior alignment (registration / localization) of the objects, but only a comparison of their spectra. With the help of such fingerprints it is possible to support copyright protection, database retrieval and quality assessment of digital data representing surfaces and solids. Proceedings of the HAPTEX'05 Workshop on Haptic and Tactile Perception of Deformable Objects (peer-reviewed), Hanover, pp. 17-29. December 2005. Real-time cloth simulation involves many computational challenges to be solved, particularly in the context of haptic applications, where high frame rates are necessary for obtaining a satisfactory tactile experience.In this paper, we present a realtime cloth simulation system which offers a compromise between a realistic physically based simulation of fabrics and a haptic application with high requirements in terms of computation speed. We give emphasis on architecture and algorithmic choices for obtaining the best compromise in the context of haptic applications. A first implementation using a haptic device demonstrates the features of the proposed system and leads to the development of new approaches for the haptic rendering using the proposed approach. Proceedings of the HAPTEX'05 Workshop on Haptic and Tactile Perception of Deformable Objects (peer-reviewed), Hanover, pp. 17-29, December 2005. This paper reports the preliminary results of the architectural design of the HAPTEX system that will be developed in the framework of the IST FET (Future and Emerging Technologies) initiative. The aim of the EU funded RTD project is to realize a virtual reality system able to render, visually and haptically, the behavior of fabrics. The integration of force-feedback devices with tactile arrays is foreseen to reproduce both kinesthetic and tactile stimulations. A multilayer-multithread architecture has been selected in order to optimize the computational speed and to achieve a sufficient refresh rate for real-time applications. Proceedings of the Eighth ACM Symposium on Solid Modeling and Applications. G. Elber and V. Shapiro, editors. pp. 196-207. Seattle, WA, June 2003. This paper presents matching and similarity evaluation methods between two NURBS surfaces, and their application to copyright protection of digital data representing solids or NURBS surfaces. Two methods are employed to match objects: the moment and the curvature methods. The moment method uses integral properties, i.e. the volume, the principal moments of inertia and directions, to find the rigid body transformation as well as the scaling factor. The curvature method is based on the Gaussian and the mean curvatures to establish correspondence between two objects. The matching algorithms are applied to problems of copyright protection. A suspect model is aligned to an original model through the matching methods so that similarity between two models can be assessed to determine if the suspect model contains part(s) of the original model, which may be stored in an independent repository. Three types of tests, the weak, intermediate and strong tests, are proposed for similarity assessment between two objects. The weak and intermediate tests are performed at node points obtained through shape intrinsic wireframing. The strong test relies on isolated umbilical points which can be used as fingerprints of an object for supporting an ownership claim to the original model. The three tests are organized in two decision algorithms such that they produce systematic and statistical measures for a similarity decision between two objects in a hierarchical manner. Based on the systematic and statistical evaluation of similarity, a decision can be reached whether the suspect model is an illegal copy of the original model. Proceedings of the 2003 NSF Design, Service and Manufacturing Grantees and Research Conference, Birmingham, Alabama, January 2003. Recently copyright issues for digital contents are becoming a serious problem. Especially when the copyrighted digital contents are exposed to the internet, they are an easy target for malicious parties to produce pirate digital contents for unauthorized sales. Digital watermarking, defined as a process to embed data called watermark into a digital content to protect the copyright of the owners, is becoming an active research topic. There exist studies on digital watermarking techniques for 3D polygonal models, prompted by the increasing popularity of virtual reality modeling language (VRML) and standardization of MPEG-4. Unfortunately, these techniques cannot be applied directly to computer aided design (CAD) based objects, which are usually represented by Non-Uniform Rational B-Spline (NURBS) surfaces. Moreover existing watermarking techniques, such as embedding data by slightly changing the control points, putting some pattern in the mesh, are vulnerable to coordinate transformation, random noise and malicious action of the user. The objective of this project is to develop an intrinsic watermark technique for solids bounded by NURBS surfaces. The key idea is to extract intrinsic properties of solids, which are not affected by coordinate transformations, random noise and malicious action of the user. This watermark can be destroyed only if the digital model describing the shape is changed so much that the newly represented object cannot any longer be considered approximately identical to the original solid in the database. Der Einsatz neuer Medien gewinnt auch in der Landschaftsplanung immer mehr an Bedeutung. Dabei ist es wichtig, dass unterschiedliche Projektbeteiligte (z.B. Gemeinden, Verbände, Fachplanungen, etc.) über eine Schnittstelle Zugriff auf gemeinsame Daten erhalten. Im Rahmen eines von der Deutschen Bundesstiftung Umwelt (DBU) geförderten und Mitte 2002 abgeschlossenen Forschungsprojektes wurde am Institut für Landschaftspflege und Naturschutz der Universität Hannover zusammen mit weiteren Projektpartnern eine Informations- und Kommunikationsplattform im Internet aufgebaut. Die positiven aber auch negativen Erfahrungen fliessen in ein weiteres, durch das Bundesamt für Naturschutz (BfN) gefördertes Erprobungs- und Entwicklungsvorhaben, den sogenannten "interaktiven Landschaftsplan" ein. In beiden Vorhaben handelt es sich um unterschiedlichste Nutzergruppen, die sich in einen Prozess einbringen können und sollen. Als Schnittstelle, die gleichzeitig Fragen des Datenschutzes und der Zugriffsrechte berücksichtigen muss, kommt daher, wie bei fast allen größeren Internetprojekten neueren Datums, ein Content Management System (CMS) zum Einsatz. Die Erfahrungen aus bereits abgeschlossenen Forschungsprojekten und ein Vergleich freier Public-Domain CMS-Software liessen als Konsequenz nur die Neuentwicklung eines frei verfügbaren Content Management System am Institut für Angewandte Systeme der Universität Hannover zu. Die Eigenschaften und Möglichkeiten (Nutzer- und Gruppenverwaltung, Bild- und Fotoarchiv, Infobrief, Mailinglisten etc.) des unter dem Arbeitstitel CoMa entwickelten Redaktionssystems und der Dokumentationsbeschreibungssprache CoMaL sollen unter anderem hier aufgezeigt werden. Proceedings of the Fifth International Conference on Mathematical Methods for Curves and Surfaces, Oslo, July, 2000. Mathematical Methods in CAGD, pp. 45-54, Vanderbilt University Press, Tennessee 2001. We describe a method to approximate a closed surface triangulation using simulated annealing. Our approach guarantees that all vertices and triangles in an approximating surface triangulation are within user-defined distance of the original surface triangulation. We introduce the idea of atomic envelopes to guarantee error bounds that are independent of the surface geometry. Atomic envelopes also allow approximation distance to be different for different parts of the surface. We start with the original triangulation and perturb it randomly and improve an approximating triangulation by locally changing the triangulation, using a simulated annealing algorithm. Our algorithm is not restricted to using only original vertices; the algorithm considers every point inside the envelope triangulation as a possible position. The algorithm attempts to minimize the total number of vertices needed to approximate the original surface triangulation within the prescribed error bound. This paper gives an overview of some recent methods useful for local and global shape analysis and for the design of solids. These methods include as new tools for global and local shape analysis the Spectra of the Laplace and the Laplace-Beltrami Operator and the Concept of stable Umbilical Points i.e. stable singularities of the principal curvature line wire frame model of the solid's boundary surface. Most material in this paper deals with the Medial Axis Transform as a tool for shape interrogation, reconstruction, modification and design. We show that it appears to be possible to construct an intuitive user interface that allows to mould shape employing the Medial Axis Transform. We also explain that the Medial Axis and Voronoi Diagrams can be defined and computed as well on free form surfaces in a setting where the geodesic distance between two points p, q on a surface S is defined by the shortest surface path on S joining the two points p, q . This leads to the natural and computable generalized concepts of geodesic Medial Axis and geodesic Voronoi Diagram on free form surfaces. Both can be computed with a reasonable speed and with a high accuracy (of about 12 digits when double floating point arithmetic is used for the computations). The purpose of our project is to use roughness dependent information of a given 2D-texture for haptic rendering. A well-known fact in the area of Computer Graphics states a strong correlation of surface roughness and its fractal dimension. Basically we pursue two approaches to generate haptical impression of roughness after estimating the fractal dimension Dfrac of a given texture. These approaches are based on Brownian surfaces and motions. The textures in question have to be available in an appropriate representation applied to computed Dfrac . To facilitate the accurate exchange of geometric data between different modeling systems, the approximate conversion of high degree B-spline or procedurally defined geometries to lower degree representations is required. We briefly review the algorithms we have developed to approximate high order and procedurally defined bivariate functions with integral B-splines. We also provide a test numerical example to permit comparison with alternative methods. The approximation algorithm used in this example is based on an iterative scheme in which the approximation error is estimated by adaptive sampling and is reduced through adaptive knot addition. For the approximation of high order polynomials, the effectiveness of a global error bound using convex hulls is also illustrated. In the design and manufacturing of shell structures it is frequently necessary to construct trimming curves on surfaces. The novel method introduced in this paper was formulated to be coordinate independent and computationally efficient for a very general class of surfaces. Generality of the formulation id attained by solving a tensorial differential equation that is formulated in terms of local differential properties of the surface. In the method proposed here, a space curve is mapped onto the surface by tracing a surface curve whose points are connected to the space curve via surface normals. This surface curve is called to be an orthogonal projection of the space curve onto the surface. Tracing of the orthogonal projection is achieved by solving the aforementioned tensorial differential equation. For an implicitly represented surface, the differential equation is solved in three-space. For a aprametric surface, the tensorial differential equation is solved in the parametric space associated with the surface representation. This method has been tested on a broad class of examples including polynomials, splines, transcendental parametric and implicit surface representations. Orthogonal projection of a curve onto a surface was also developed in the context of surface blending. The orthogonal projection of a curve onto two surfaces to beblended provides not only a trimming curve design tool, but it was also used to construct smooth natural maps between trimming curves on different surfaces. This provides a coordinate and representation independent tool for constructing blend surfaces. Proceedings of the 15th ASME Design Automation Conference: Advances in Design Automation. Computer Aided Geometric Design of surfaces sometimes presents problems, that were not envisioned by mathematicians in differential geometry. This paper presents mathematical results that pertain to the design of second order smooth blending surfaces. Second order smoothness normally requires that normal curvatures agree along all tangent directions at all points of the common boundary of the patches, called the linkage curve. The Linkage Curve Theorem proved here shows that, for the blend to be second order smooth when it already is first order smooth, it is sufficient, that normal curvatures agree in one direction other than the tangent to a first order continuous linkage curve. This result is significant for it substantiates earlier works in computer aided design. It also offers simple practical means of generating second order blends for it reduces the dimensionality of the problem to that of curve fairing, and is well adapted to a formation of the blend surface using sweeps. From a theoretical viewpoint, it is remarkable that one can generate second order smooth blends with the assumption that the linkage curve is only first order smooth. This property may be helpful to the designer, since linkage curves can be constructed from low order piecewise continuous curves. In a metric space with an interior metric the distance between any two points is realized by the infinimum of the lengths of all paths joining those two points. In this space the length of a continuous parameterized path is defined by the supremum of all sums built by distances between any two consecutive points corresponding to any partition of the parameterization interval of the path. For locally compact and (Cauchy) complete metric space with an interior metric there exists for any two points a shortest path joining those points and (the assumption of an interior metric assures that) the length of the shortest path equals the metric distance between the end points of that path. In case the latter metric space is not simply connected then there exists a shortest path in any homotopy class of closed paths with fixed base point. If further more the latter metric space is compact then there exists a closed shortest path in any non trivial free homotopy class of closed paths. Complete Riemannian manifolds provide classical examples for spaces with an interior metric where any two points can be joined by a shortest path realizing the distance between the two points. The main subject of this thesis are shortest paths in Riemannian manifolds that may have a boundary that is not necessarily smooth . Let M be an n-dimensional Riemannian manifold with or without boundary. If the boundary of M is not empty then we assume that M is a topological manifold whose boundary is an (n-1)-dimensional topological manifold. Furthermore we assume that any point in M has a neighborhood containing a set being C¹-diffeomorphic to a cone in the n-dimensional Euclidean space. If the latter manifold M carries a (merely) continuous Riemannian metric then it can be employed to define the length of piece wise C¹-smooth paths useful to define the distance between any two given points in M. This distance endows M with an interior metric s. o. whose topology agrees with the manifold topology of M. We assume now that the Riemannian metric is locally Lipschitz continuous and that every point of M has a neighborhood being C¹ diffeomorphic to a convex set in Euclidean space. Then an arclength parameterized shortest path joining any two points in M has an absolutely continuous first derivative and the square of the second derivative is Lebesgue integrable. This implies that the aforementioned first derivative is Hoelder-1/2-continuous. Combining the latter results with the general existence results for shortest paths stated above then we obtain: If a Riemannian manifold M is locally C¹ diffeomorphic to some convex set in the Euclidean space and if M carries a locally Lipschitz continuous Riemannian metric then M becomes a metric space with an interior metric. If the latter metric space is complete then any two points p, q in M can be joined by a shortest C¹-smooth path whose length realizes the metric distance between p and q. The first derivative of that shortest path is Hoelder-1/2-continuous as the square of its second derivative is Lebesgue integrable. Furthermore there exists a shortest path in any homotopy class of closed paths with fixed base point. An arc length parameterization of the latter path is C¹-smooth and has all the aforementioned continuity properties. Note that at the base point (being the starting point and the end point) of the closed shortest path there usually exist two distinct tangent directions related to the start and the end point (respectively) of the parameterized shortest path. Under the additional assumption that the space M is compact we have in any (non trivial) free homotopy class of closed paths a shortest path that is C¹ smooth everywhere. This means now at any point chosen as start and end point of (the aforementioned) closed path the tangent directions at the start point and at the end point agree. This implies if M is not simply connected and compact then there exists a shortest non contractible closed path (loop) and that path is C¹ smooth everywhere having the same derivative at the beginning and the end of the closed path. The result stated above concerning existence and continuity of shortest (i.e., distance minimal paths) for the space M specified above (with quite weak assumptions) can be employed to prove that on M the distance function d(A, x) describing the distance of a variable point x in M with respect to some closed set A has a continuous gradient outside the cut locus of the set A, if x avoids A, cf. F.- E. Wolter The aforementioned results imply the respective corresponding classical results that are valid for unbordered Riemannian manifolds, however, the techniques of the proofs are completely different and employ specific variational methods and tools from analysis. A method for characterization of objects has the steps of: a) describing an object with an elliptical self-adjoint eigenvalue problem in order to form an isometrically invariant model; b) determining eigenvalues of the eigenvalue problem; and c) characterizing the object by the eigenvalues. Umbilics of two surfaces are compared and it is determined from this comparison whether the suspect surface is a copy of the original surface based on the comparison. Comparing umbilics includes determining whether locations of the umbilics of the suspect surface match within a specified margin umbilics of the original surface, and determining whether pattern types of umbilics of the suspect surface match pattern types of corresponding umbilics of the original surface. A "weak" test may be performed, in which corresponding points on the two surfaces are compared, wherein the comparison of umbilics is performed if corresponding points of the two surfaces are located within a specified margin of each other. The points may be gridpoints on wireframes, which in turn may be based on lines of curvature of the surfaces. Comparing umbilics is performed if it is determined that each surface has at least one umbilic. Further still, an "intermediate" test may be performed which includes, for each surface, computing the principal directions of lines of curvature at each grid point. The computed directions of lines of curvature for corresponding gridpoints on the surfaces are compared. A determination is made as to whether the suspect surface is a copy of the original surface, based on the comparison. If one moves starting from some point on a normalized geodesic in a Riemannian manifold, then it is a natural question: "How long is this geodesic a minimal join to the starting point, e.g. a shortest path joining the points?" A possibility to answer this question is given with the introduction of the concept of the Cut Locus, which goes back to H. Poincaré and H. von Mangoldt. The center of our considerations are bordered Riemannian manifolds, where the boundary has the effect of an obstacle. Minimal joins may bifurcate at boundary points. Therefore even very elemental problems concerning regularity and local uniqueness of locally shortest paths are not easy to solve and we meet new problems and new phenomena. Nonetheless it is yet possible to prove some results for Cut Loci in borderd manifolds and just this is the main intention of our paper. Several definitions for the cut locus of a closed set in a bordered manifold are given and it is proven, that the complement of the Cut Locus is the maximal set in which the distance function of the set is smoothly differentiable. Further the concepts of Pica, Extender/Non-Extender and Lipschitz-Point are introduced, which lead to several interesting results about the differentiability of minimal joins and a new prove of Jacobi's Theorem and give a natural frame for certain results concerning EFP-Sets. The proceedings of The CYBERWORLDS 2007, held October 24-27 in Hannover, Germany. In addition to the 35 papers selected for the October 2007 conference on cyberworlds, this volume also publishes 10 papers from a workshop on modeling virtual reality systems incorporating haptic and tactile feedback and 13 papers from a second workshop on advanced mathematical methods for geometric modeling and shape analysis. The cyberworld papers explore data management, artificial intelligence, cyber ethics, virtual humans, distributed virtual environments, human interaction, and visualization. Other topics include subjective fabric evaluation, anisotropic bending stiffness on particles grids, fast inverse forging simulation via medial axis transform, encoding animated meshes in local coordinates, and parametric reconstruction of bent tube surfaces. The proceedings of the HAPTEX Workshop 2005. These printed proceedings contain most of the papers presented at CGI’98, the 16th Computer Graphics International Conference of the Computer Graphics Society.  CGI’98 was held in Hannover, Germany, from June 22 to June 26, 1998, and was the first CGI congress to be held in Germany.